Every year we host a Christmas party at our house. I love hosting a big party because it’s a great way to get all of our friends together at one time for a really fun night. We usually try to have it early in December before everyone gets way too busy to come. It doesn’t always work out that everyone can come but usually we have between 20-25 people. I enjoy making appetizers and desserts which is basically what we end up serving. I like to have a handful of hot appetizers as well as a few platters of cheese, crackers, and dips. Then I make cookies, cupcakes, and other individual desserts. Of course I have to have at least one signature cocktail as well. Sure we have beer and wine for our party but I’m talking about one signature cocktail that defines our party. 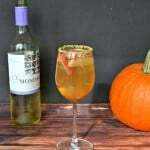 I usually start trying out different cocktails in October and when I find one I like I see if I can make it in big batches for the party. 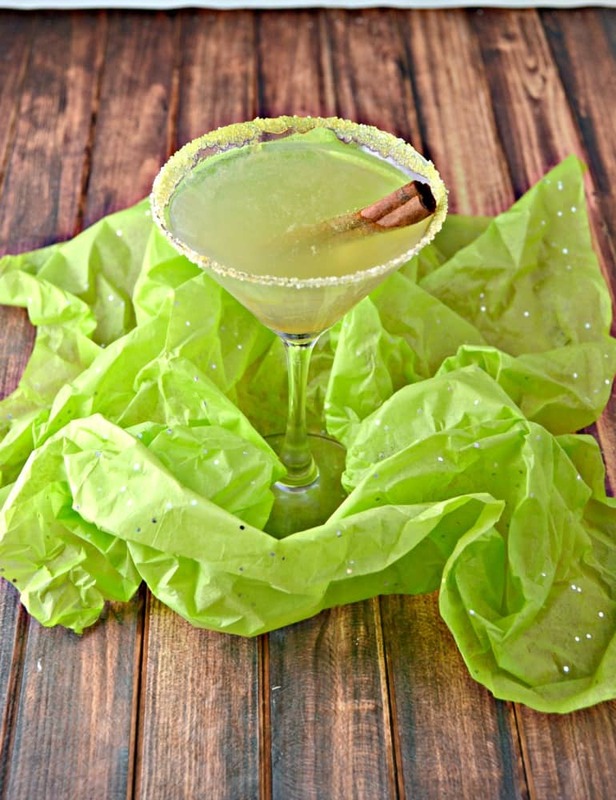 This year my signature cocktail is going to be this super fun Caramel Apple Martini. 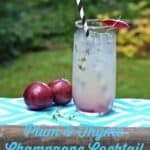 The best part about this cocktail is that it only has 5 ingredients so it’s super easy to make. 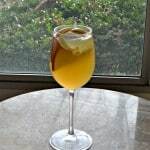 I started with Stirrings All Natural Simple Apple Martini Mix. I mixed that along with caramel apple vodka, regular vodka, and caramel sauce. I shook it all together in a shaker with ice then strained it into a glass rimmed with Stirrings Lemon Drop Martini Rimmer. I stuck in a cinnamon stick to finish it off. I really liked the flavor of it because it was both sweet and tart. 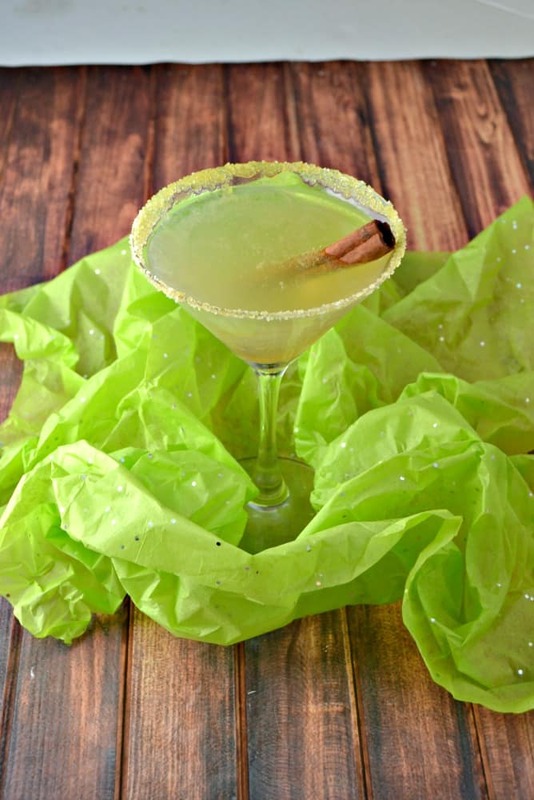 The cinnamon stick adds a hint of spice to the cocktail. Overall it tastes like you are drinking a caramel apple. It’s so good and perfect for the holidays! I’m making it for my party in a big batch and keeping it in a large jug with ice. Then my guests can pour themselves a martini and stick in the cinnamon stick if they’d like. 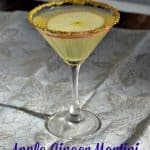 A sweet and tart cocktail that tastes just like a caramel apple! In a shaker combine the apple martini mix, caramel apple vodka, vodka, and caramel sauce along with a cup of ice. Shake for 30 seconds. Meanwhile, place a bit of caramel sauce on your finger and run it around the rim of a martini glass. 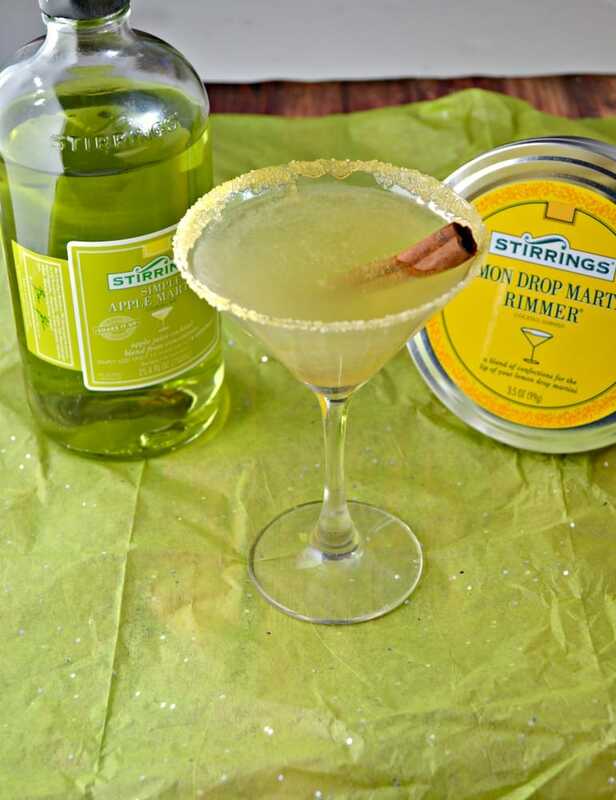 Dip the rim of the glass into the lemon drop martini rimmer. 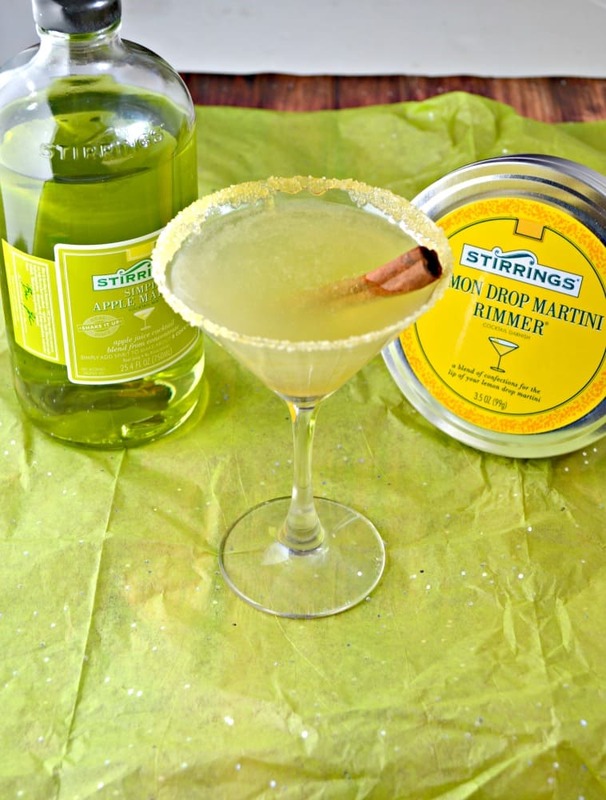 Strain the caramel apple martini into the martini glass. Want to find Stirrings products for yourself? You can get them at Food Lion, Total Wines & More, Wine Source, Hunt Valley Wine & Liquors. Visit Stirrings on Facebook | Twitter | Instagram | Pinterest for more great recipes! This sounds awesome. I am a big fan of flavored martinis and I can totally get on board for this one! This sounds wonderful and I need to try that rimmer! Sounds like a perfect little martini for the season! This is a perfect drink for a night gathering! Apple Martini sounds great!!!! I love a good apple martini! This looks fabulous! Love this, going on my to-make list!